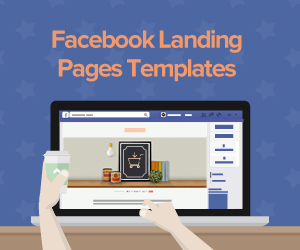 Let's face it: if you are going to enjoy maximum success in online marketing, you need landing pages. But just “having a landing page” doesn't mean it's going to convert. The Internet is full of landing pages that perform poorly because they are not optimized to help their owners make more sales. Admittedly, setting up a high-converting landing page can be a real challenge. You have a lot of different “plates to juggle”, including copywriting, design, your offer, and so on. Today, let's do a critique of two of the “live” landing pages of a legendary marketer. As we do, let's talk about some specific steps you can take to increase the likelihood your landing page will do the conversion job you want it to. Something to keep in mind before we go further: We will review some things that worked for the successful marketer whose landing pages we critique; that doesn't mean that every single one will work for everyone reading this. It's important that you test, refine and optimize every aspect of your landing pages on a regular basis. Doing so will help you increase your conversion rates. We've talked about Dan Kennedy on this blog before. Although definitely not as “flashy” or “hip” as some of the current “online gurus”, Dan is one of the world's wealthiest and most successful direct response marketers, copywriters and advisors. He has a long (35 years), successful history of helping small businesses prosper through both online and offline marketing. He teaches timeless principles that worked eighty years ago and still work today. One of the key products Dan sells on his website is a monthly educational newsletter shipped via offline mail. His landing page for this product is actually a brilliantly laid out two page system. The first page serves the purpose of capturing email addresses (Dan is very successful at using email marketing to boost sales). It also builds conversion momentum; it “sets the stage” and “whets the page viewer's appetite” for the offer on the next landing page (where the sale is made and the reader must submit payment). When you click the link to access this page, you notice that at the top, where the visitor's eye is first drawn, there are few, if any distractions to direct his attention away from the task at hand – reading the very compelling headline and sub-headline, watching the eye-catching, benefit-loaded video, and entering your name and email address to gain access to the next page where the sales presentation is made. There are no navigation links (other than one for the homepage embedded in the GKIC logo and tagline in the upper left-hand corner). This page has a lot of white space and an absence of clutter. This is important. A “busy”, cluttered landing page can cause confusion. And like we've said before, confusion kills conversions. If your reader ever feels confused or overwhelmed by any part of your landing page, chances are you will lose the sale. Dan includes an attention-grabbing headline that makes you curious to find out more. His sub-headline gives the reader a strong benefit and mentions a specific number - $633.91. In the world of online marketing, many lose credibility by promising vague, non-specific claims. A specific number like this one sounds more believable. The placement of the video serves as a “directional cue” to draw the reader's attention from the headline further down the page. 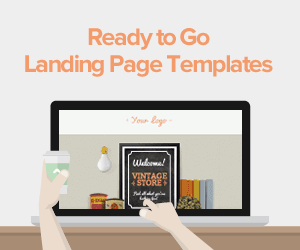 Your design and placement of different landing page elements should contain these cues. It's important to make your reader's attention flow from the top of the page down to the call to action button. Directional cues can help you do this. And remember what we said a moment ago – confusion kills conversions. Directional cues are a very smart way to fight reader confusion. The video grabs and keep attention because of the hand-drawn animation. And it makes a very compelling proposition: $633.91 worth of money-making information for free in exchange for your name and email address. The form is super-simple and non-threatening, only requiring the user's name and email address. And I like the trust statement of having the lock icon and secure information notice. I would also change the copy in the button. I think a more compelling call to action message could make this page even stronger. I would totally remove the navigation links and social media icons. I think they could potentially cause a distraction at a very critical conversion “moment of truth”, especially with a reader who was on the fence about giving away his name and email address and clicking through to the next page. Notice how close they are to the conversion form and the call to action button. Once the reader clicks the submit button he is taken to a second landing page. The first page was designed to whet the reader's appetite and set the stage for the ultimate conversion goal. That goal is to get the page visitor to give up his credit card information in return for shipping and handling charges for the free trial of the “No BS Marketing Letter”. After the trial period, the reader would then pay $59.97 per month. Free trials are a solid marketing strategy; they just might be a great method for increasing your conversion rate. But you definitely want to be confident you have a solid product. You want to be convinced that the vast majority of those who accept your free trial will like it so much they are willing to pay for it when the trial is over. Free trials give the impression your company is trustworthy. They are a low-risk way for a customer to get involved with your product. Notice that Dan's second landing page continues the same design and general theme introduced by the first one. This is important. Your potential customer will often get confused if you totally switch color schemes, branding, tone of message, etc from one page to the next. In addition to the video that contains a powerful sales message, this page employs a brilliant copywriting strategy often used by legendary direct response marketer Ted Nicholas, affirmation copy. “Yes!! I want to claim $633.91 worth of Pure, Powerful MoneyMaking Information...”. This style of copywriting often leads the reader to believe he is “selling himself”, instead of the unpleasant feeling he is “being sold”. Like Dan's previous landing page, this one has a simple, uncluttered design with lots of white space. This page also lists the free products you will receive, as well as what each would cost if you were having to pay for it. Smart move in my opinion. The page wisely shows an image of the products you will receive and makes an effort to tell you your information is secure. Also, the shipping and billing information form is simple. The acceptance box near the bottom of the page is a bit wordy, but I suppose that is necessary given the nature of the free trial offer. And I'm surprised at the dull gray call to action button with the uninspired, generic copy “Add To Cart”.Given the lively, conversational, even humorous nature of the vast majority of Dan Kennedy's marketing, this seems out of character. Just like on the previous page, on this one, I would remove the social media icons and navigation links from the bottom. 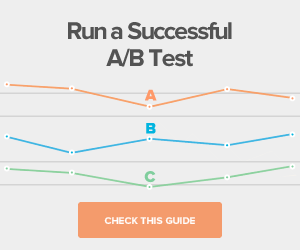 But, one thing to keep in mind is that Dan Kennedy and his marketing staff are obsessed with A/B testing. I doubt there's a single element on any of their landing pages they have not tested thoroughly. So what's the lesson? Something may go against best practices or conventional wisdom, but if you test it and find it works for you, keep it! 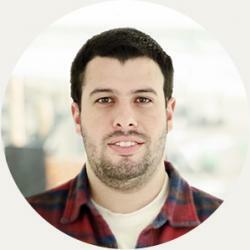 Dan Kennedy has a team composed of very talented marketers. They have put together and run many successful online marketing campaigns. They have mastered the art and science of producing winning landing pages that convert like crazy. But even a world-class marketer like Dan Kennedy could truly benefit from a world-class landing page platform like Lander. Loaded with valuable features that give online marketers like you a truckload of benefits. Lander is engineered to help you enjoy a higher conversion rate. And it's a snap to set up and a breeze to maintain. 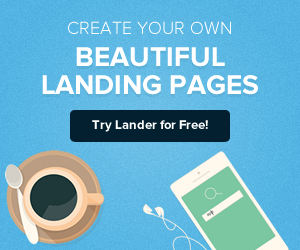 Lander is the easiest-to-use landing page platform in the Universe! And Dan Kennedy isn't the only marketer offering something for free.We are happy to offer you a free 30-day trial on any of our rate plans. Any questions about how Lander can help you launch your online marketing results into the stratosphere? We've got answers, and we'd love to help you, so contact us today!